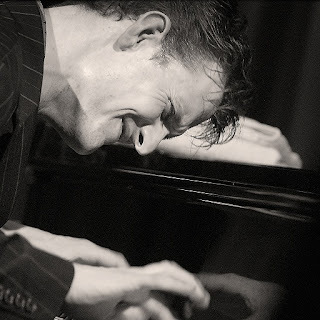 The Centre for Jazz and Popular Music will presents the Peter Beets trio (Netherlands) on September 27. 2017. Brotherly rivalry is always a good thing in music and this aspect is what helps drive Dutch jazz superstars, the Peter Beets Trio. The brothers, Alexander and Peter (with friend Gijs Dijkhuizen) tour South Africa in 2017, and CJPM is fortunate to host them for a gig in Durban. The renowned trio are in the forefront of jazz music in Holland. The brothers have had a healthy rivalry - ever since their father, a keen jazz enthusiast with a passion for Oscar Peterson and Art Blakey, first introduced them to their instruments. The Beets brothers were born to play music. Peter, who is a highly acclaimed musician with an international reputation, undertook no fewer than 26 international tours in 2016 and there are no signs of him slowing down this year, either. He has toured Europe extensively, as well as the US and Japan. After college, Peter studied at the Royal Conservatory of The Hague. He combined his music studies with law school, but decided to concentrate exclusively on music. The brothers performed together as The Beets Brothers with their debut album being released in 1990. Two more followed and over the years they have built up an enormous body of work, many in collaboration with other artists.